In the heart of the Cairngorms National Park, surrounded by mountains and glorious scenery, Braemar Castle is the perfect setting for a romantic Highland wedding. It's fairytale turrets and sweeping driveway make it the perfect setting for your special day. Steeped in history, visited by kings and queens, it has all the ingredients to make your day special. 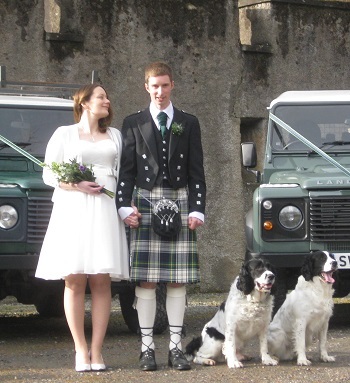 Add a piper in full highland dress and champagne and canapés in the Drawing room (or courtyard in fine weather) and you will have created an exceptional day. 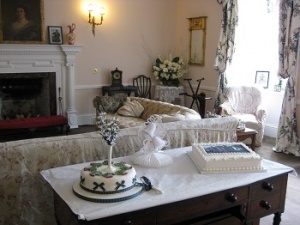 The ceremony is held in the magnificent dining room which accommodates up to 60 people. Receptions are generally held at a local hotel (or you may want to organise a marquee in the grounds.) 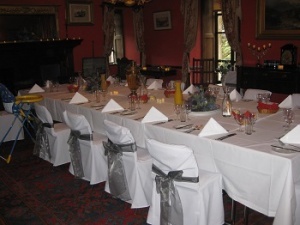 For smaller numbers, up to 26, it is possible to hire the dining room for the meal at an additional charge of £200. We can help with contacts for hotels and caterer. 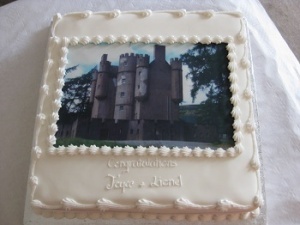 To hire Braemar castle for your wedding costs £500. The maximum number of people, including the wedding party, is 60. We look forward to working with you to make your day extra-special.